SUSE Linux Enterprise 12 is now available. The newest major release of SUSE Linux Enterprise, version 12, is now available — and includes the latest technological innovations from upstream to provide our customers with increased uptime, improved operational efficiency and accelerated innovation. SUSE is no stranger to innovation in enterprise Linux. We were the first to include Xen, the first to include KVM and the first to use Pacemaker for High Availability clustering in the enterprise Linux world. And all of these features are even better in SUSE Linux Enterprise 12. The new SUSE Linux Enterprise Server Modules provide an array of optional packages — from development and scripting tools to Cloud Management. You can even use Server Modules to get a sneak peak at SUSE’s upcoming management tool we call “Advanced Systems Management”. 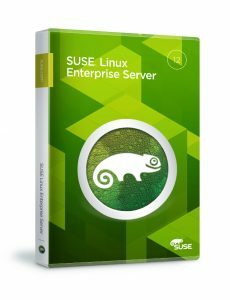 Access to these Modules are included in your SUSE Linux Enterprise Server subscription. Ready to start using Linux containers to increase flexibility, virtualization density and maximize resource usage? We’ve got you covered there as well. SUSE has been supporting Linux Containers since 2012 and now includes Docker in SUSE Linux Enterprise 12 as a fully functional technical preview. And, to get the most out of your latest hardware investments, SUSE’s SolidDriver program enables hardware vendors speed up delivery of their latest optimized Linux kernel drivers. Or, if you’re ready to jump right in and start using the latest and greatest version of SUSE Linux Enterprise in the public cloud today, we’re ready for you there. SLE 12 is available right now on: Amazon AWS, Microsoft Azure and Google Compute Engine. For a full run-down on all of the incredible new features of SUSE Linux Enterprise 12, head on over and check out the release notes or the official SUSE Linux Enterprise page.